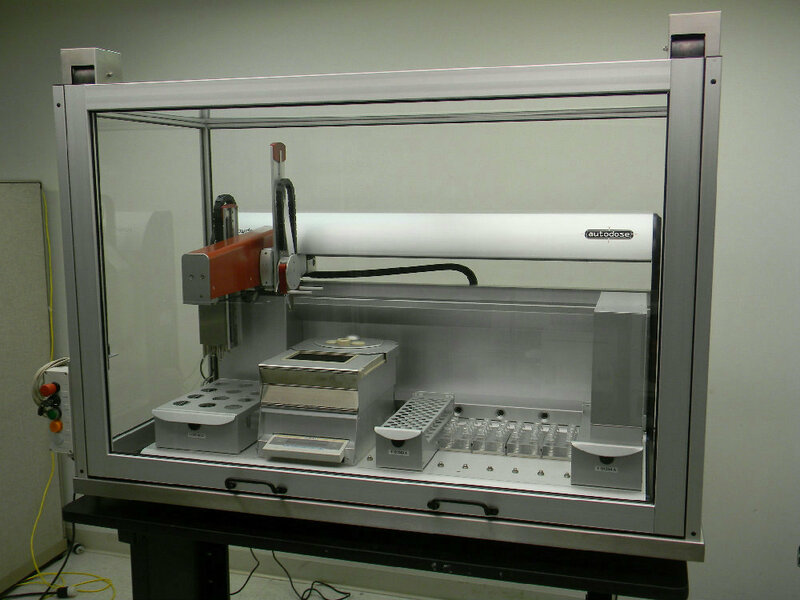 AutoDose TrueFlex 130 Powdernium High Precision Custom Milligram Filling Robot . New Life Scientific, Inc. Truly flexible, automated powder dispensing The Powdernium® offers an automated powder dispensing system, removing an often underestimated bottleneck, providing the highest level of performance, significantly increasing productivity and saving time. At the heart of this advanced automated powder dispensing workstation is a new state-of-the-art robotic system coupled with the proven Powdernium powder dispensing technology. Powder Dispensing: Unmatched flexibility Compatible with a wide range of materials and physical properties, including low-density to free-flowing, cohesive, micronized, etc. Consistent and accurate filling, with RSD between 1–5% depending on flow properties of powder. Compatible with almost any receiving container, including capsules size 000 – 4, bottles, vials. Compatible with a wide range of materials and physical properties, including low-density to free flowing, cohesive, micronized, etc. Please contact us if you have any question regarding this item or if you would like us to send more pictures of it. Additionally, we are willing to perform any tests or examinations you may request in order to better determine the condition of the product. Simply contact us with detailed instructions. Excellent condition, in need of software.